Okay, so the past days I encountered sudden shifts of tide. From lie-low to being on my toes, I treaded the days making sure I give myself a reality check from time to time, so as not to go down the rabbit hole again. 8-hole classic cherry red Doc Martens!!! Akkk! Ang seryoso ko sa pose ko dito, pero super kinikilig ako to have my first (of maaaany for sure!) ootd with this pair. :D < 3 My first DMs, too! Wore this to school + for a movie night! Medyo tinake advantage ko sya and fearlessly just slammed puddles when commuting, hehehe. Anyway, so I am back to this work! We have so much plans for the year and I am beyooond excited to really push through with all of them! I am so happy to work with young and energetic people, and also feel young (at heart, hehe). We even talked about entrance exams! Haha! 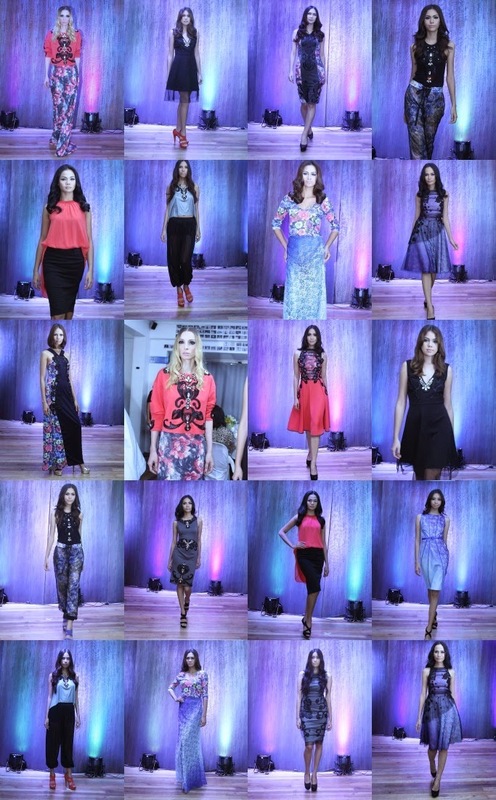 While he's still a major supplier of the retail chain's SM Woman line, Santos is also slowly—and finally—stepping into the designers spotlight. While his silhouettes and separates are timeless—picture a series of stretchy shift dresses, cropped tops, column skirts, and even a tailored take on jogging pants—it's his amazing DETAILS that make all the difference. 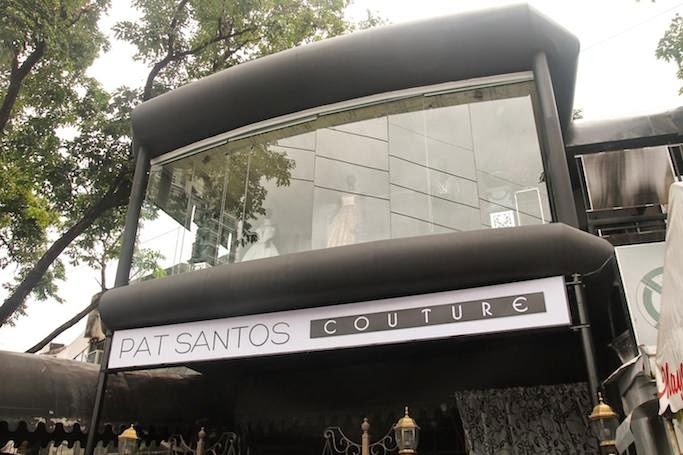 For inquiries and made to order requests, contact Pat Santos at 806-7214 or visit his Ateliers at #15 Luz Street, corner CRM Avenue, BF Alamanza, Las Piñas City, or #42 Sgt. Esguerra Avenue, Quezon City. Humabol pa kasi ako ng gym Wednesday night after CPK Event, kahit na I wasn't feeling well nadin that day. Regrets. Haha. 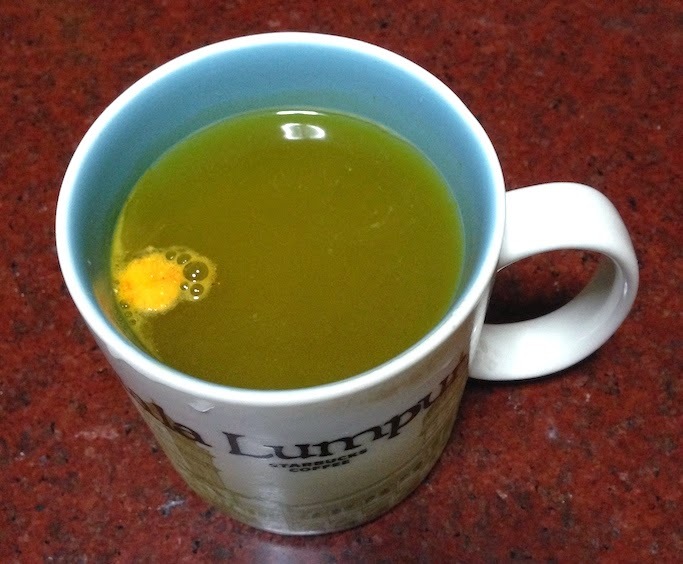 The Berocca overdose, huhu. Nakakatawa cause it has been a while since I last got sick, so I forgot na the name of this drink. Ginoogle ko pa talaga siya: "B tablet that turns into juice" Hahaha, lumabas naman! Eto ang nagpapatawa sa akin the past days, hahaha! IMOJI! Download the app pang trip lang sa messaging groups niyo ng barkada, hehehe! 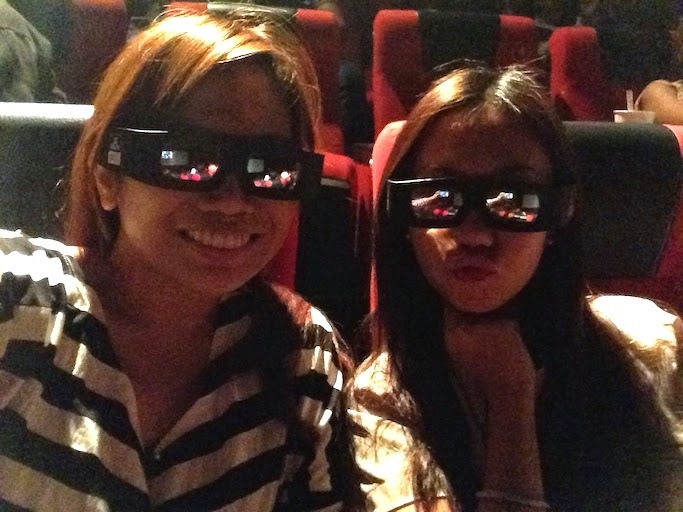 Tracy invited me to watch The Guardians of the Galaxy in Greenbelt. 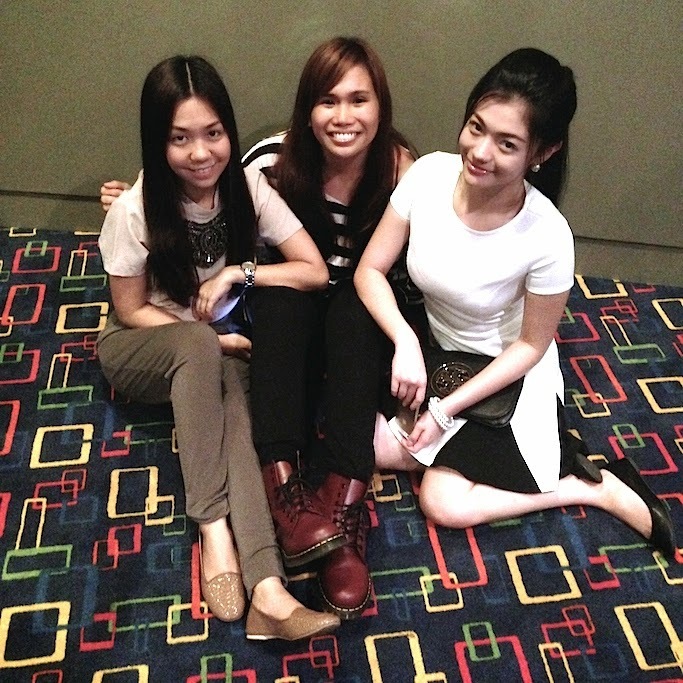 I was actually sick na in this picture, pero tawang tawa parin ako sa mga kalokohan nila Trace and Verniece. Tracy and I also ate a lot that night: Dulcinea, Mary Grace, NamNam, and then the theater's NYFD free pa-french fries. :p Haha! Before the movie started, hello there Tracy! This was for a Kitkat campaign / ad! Naks! 3D realness! Haha! Thanks for the treat!!! So excited na for tomorrow / later's Instax DIY Day! Of course nakuha ko pang mag blog, wahaha! :D Seriously ninenerbyos na ako, pero I am sure panay kalokohan and pa-artsy-han ang ganap natin mamaya, so I'll just have to wing it! Enjoyin natin to! See you!! !